For the most part, those who write that Joseph was a polygamist quote some of his alleged plural wives who state that Emma Smith supported polygamy. However, these writers avoid quoting Emma herself. In fact, they seem to "forget" that Emma made statements against polygamy and gave several interviews supporting the position that Joseph was not a polygamist. However, when authors do mention her statements, they rarely quote them but just say that Emma verbally opposed polygamy after Joseph's death so that her children would be sheltered against Joseph's polygamist activities. I feel that either the omission or degredation of Emma's testimony on their part is at best self-serving because it does not fit their paradyme that Joseph was a polygamist. At worst, it is disrespectful to Emma considering all the great personal sacrafices she made to support and promote the Restored Gospel. If anyone knew the truth about Joseph, it was Emma for she was his companion and helpmate who suffered with him from the beginning of the Restoration Movement through his death. She has earned the right for her opinions to be heard and given great weight concerning Joseph and polygamy. By all who knew her both within the church and the community, she was a women of great compassion, honor, integrity, and truthfulness until the day she died. She truly embodied the message of the Gospel of Jesus Christ throughout her entire life. If we cannot believe Emma about Joseph, who can we believe! For these reasons I have decided to quote some of the more emphatic statements Emma made in defense of Joseph. It is time that Emma's testimony is heard and given its proper due. I remained in Nauvoo and vicinity until the fall of 1857; worked a part of the time for Joseph on his farm—though he had moved into the city and his brother, Frederick, worked the place. I became quite well acquainted with the Smith family. Frederick was prepossessing; in fact, a gentleman in his appearance, open and frank in his countenance, six feet high and well proportioned, and I noticed he was very affectionate to his mother and often saluted her with a loving kiss and good morning or good-bye. Everybody loved him. Joseph was always cheerful, very respectful to his mother, always seemed to be busy. Alexander was always quiet around the house and doing chores. David was a handsome boy, modest and retiring in disposition, studious, and quite an artist; loved and admired by everybody who formed his acquaintance. Sister Emma was an exceptionally good woman, whom everybody spoke of as an example worthy of imitation. In fact, the whole family were esteemed by all people who knew them as good, worthy citizens above reproach, having the reputation of being strictly moral and temperate in all things. The people in and out of the Church about Nauvoo, who personally knew Joseph Smith before he was murdered, spoke of him with respect and declared he was a good, honorable man, a worthy citizen, and declared the scandalous stories circulated about him were base misrepresentations put in circulation because of religious intolerance, or by his political enemies. When Sister Emma made the above statements, it was a real revelation to me. I had not realized before how the Church came to so soon run into such a horrible apostasy. She spoke so endearingly of Joseph, in confidence, tears filling her eyes, that I could see she reverenced his very memory, and had full faith in Joseph’s inspiration as a prophet of God, and she always denied to me in the most emphatic language that he taught or practiced polygamy. 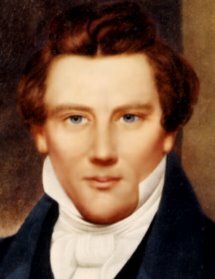 It [the polygamy revelation] purports to have been given through Joseph Smith; which, if true, our conclusions respecting its character, would make him either the victim or the instrument of deception and fraud. It must be remembered that its appearance, other than in some dark corner, if indeed there, was not until August, 1852, over eight years after the death of Joseph Smith. And when introduced, certain statements are made, which, if true, would seem to establish the claim that it came through him. This statement of facts is, that when the revelation was given, Emma Smith got possession of it in its original and 'burnt it'. Upon this point we subjoin the following questions and answers from a memorandum of an interview with the Sister Emma Smith referred to (now Mrs. Bidamon), at Nauvoo, in April, 1867. J. W. Briggs.—Mrs. Bidamon, have you seen the revelation on polygamy, published by Orson Pratt, in the Seer, in 1852? J. W. B.—Have you read it? Mrs. B.—I have read it, and heard it read. J. W. B.—Did you ever see that document in manuscript, previous to its publication, by Pratt? J. W. B.—Did you ever see any document of that kind, purporting to be a revelation, to authorize polygamy? Mrs. B.—No; I never did. J. W. B.—Did Joseph Smith ever teach you the principles of polygamy, as being revealed to him, or as a correct and righteous principle? J. W. B.—What about that statement of Brigham Young, that you burnt the original manuscript of that revelation? Mrs. B.—It is false in all its parts, made out of whole cloth, without any foundation in truth. LAST TESTIMONY OF SISTER EMMA. In a conversation held in the Herald Office during the early days of the present year , between Bishop Rogers, Elders W. W. Blair, H. A. Stebbins, and a few others, leading minds in the church, it was thought advisable to secure from Mother Bidamon (Sister Emma Smith) her testimony upon certain points upon which various opinions existed; and to do this, it was decided to present to her a few prominent questions, which were penned and agreed upon, the answers to which might, so far as she was concerned, settle these differences of opinion. In accordance with this understanding the Senior Editor of the Herald [Joseph III] visited Nauvoo, in February last, arriving on the 4th and remaining until the 10th. Sister Emma answered the questions freely and in the presence of her husband, Major Lewis C. Bidamon, who was generally present in their sitting room where the conversation took place. We were more particular in this, because it had been frequently stated to us: "Ask your mother, she knows." "Why don't you ask your mother; she dare not deny these things." "You do not dare to ask your mother!" Our thought was, that if we had lacked courage to ask her, because we feared the answers she might give, we would put aside that fear; and, whatever the worst might be, we would hear it. The result is given below; it having been decided to give the statements to the readers of the Herald, in view of the death of Sister Emma having occurred so soon after she made them, thus giving them the character of a last testimony. It is intended to incorporate these questions and answers in the forthcoming history of the Reorganization. We apologized to our mother for putting the questions respecting polygamy and plural wives, as we felt we ought to do. Question.—Who performed the marriage ceremony for Joseph Smith and Emma Hale? When? Where? Answer.—I was married at South Bainbridge, New York; at the house of Squire Tarbell, by him, when I was in my twenty—second or twenty—third year. I think the date correct. My certificate of marriage was lost many years ago, in some of the marches we were forced to make. It was not Sidney Rigdon, for I did not see him for years after that. It was not a Presbyterian clergyman. I was visiting at Mr. Stowell's, who lived in Bainbridge, and saw your father there. I had no intention of marrying when I left home; but, during my visit at Mr. Stowell's, your father visited me there. My folks were bitterly opposed to him; and, being importuned by your father, aided by Mr. Stowell, who urged me to marry him, and preferring to marry him to any other man I knew, I consented. We went to Squire Tarbell's and were married. Afterwards, when Father found that I was married, he sent for us. The account in Mother Smith's History is substantially correct as to date and place. Your father bought your uncle Jesse's [Hale] place, off Father's farm, and we lived there till the Book of Mormon was translated; and I think published. I was not in Palmyra long. Q—What about the revelation on polygamy? Did Joseph Smith have anything like it? What of spiritual wifery? A.—There was no revelation on either polygamy, or spiritual wives. There were some rumors of something of the sort, of which I asked my husband. He assured me that all there was of it was, that, in a chat about plural wives, he had said, "Well, such a system might possibly be, if everybody was agreed to it, and would behave as they should; but they would not; and, besides, it was contrary to the will of heaven." No such thing as polygamy, or spiritual wifery, was taught, publicly or privately, before my husband's death, that I have now, or ever had any knowledge of. Q.—Did he not have other wives than yourself? A.—He had no other wife but me; nor did he to my knowledge ever have. Q—Did he not hold marital relation with women other than yourself? A.—He did not have improper relations with any woman that ever came to my knowledge. Q.—Was there nothing about spiritual wives that you recollect? A.—At one time my husband came to me and asked me if I had heard certain rumors about spiritual marriages, or anything of the kind; and assured me that if I had, that they were without foundation; that there was no such doctrine, and never should be with his knowledge, or consent. I know that he had no other wife or wives than myself, in any sense, either spiritual or otherwise. Q.—What was the condition of feeling between you and Father? Q.—Were you in the habit of quarreling? A.—No. There was no necessity for any quarreling. He knew that I wished for nothing but what was right; and, as he wished for nothing else, we did not disagree. He usually gave some heed to what I had to say. It was quite a grievous thing to many that I had any influence with him. Q.—It has been stated sometimes that you apostatized at Father's death, and joined the Methodist Church. What do you say to this? A.—I have been called apostate; but I have never apostatized, nor forsaken the faith I at first accepted; but was called so because I would not accept their new—fangled notion. Q.—By whom were you baptized? Do you remember? A.—I think by Oliver Cowdery, at Bainbridge. Q.—You say that you were married at South Bainbridge, and have used the word Bainbridge. Were they one and the same town? A.—No. There was Bainbridge and South Bainbridge; some distance apart; how far I don't know. I was in South Bainbridge. These questions, and the answers she had given to them, were read to my mother by me, the day before my leaving Nauvoo for home, and were affirmed by her. Major Bidamon stated that he had frequently conversed with her on the subject of the translation of the Book of Mormon, and her present answers were substantially what she had always stated in regard to it. Joseph Smith [III]. —The Saints' Herald, vol. 26, pp. 289, 290. During the weeks of my stay at Salt Lake City on this mission [his first to Utah, 1876], I was visited by several whom I had known at Nauvoo. They were people who, I had reason to know, under the common circumstances of life would have had opportunity to know something of the life of my parents, either favorable or otherwise as events might have proved. "Sister Vienna, since this is such a much-marrying country, I marvel that you have not married long ago, and become the plural wife of some respectable high priest or bishop!" Rather blushingly she answered. "No, Brother Joseph, I have never married, either as a one wife or as a plural one." "How does this happen, and you such a warm advocate of the doctrine?" "Brother Joseph, I will tell you. Do you remember the Ladies' Society that was formed at Nauvoo, of which your mother was president?" I told her that I did, that the Times and Seasons had a record of it, too. "Well," she went on, "at one of the meetings of the society when your mother was not present the subject of spiritual wifery came up as a matter of talk and speculation. Some said there was such a doctrine as that being taught. I had always been peculiarly disposed toward marriage. I considered it to be a relation of such high and sacred character that no one should enter into it hastily or think or speak of it in a light and foolish manner. When those women discussed the matter and asserted that such a doctrine was being talked of, I refused to believe it, and said I would ask your mother about it. Some of them tried to persuade me not to do that, but my mind was made up, and I told them so. "The next day I visited your mother at her home, and had a talk with her. She told me she had asked her husband, the prophet, about the stories which were being circulated among the women concerning such a doctrine being taught, and that he had told her to tell the sisters of the society that if any man, no matter who he was, undertook to talk such stuff to them in their houses, to just order him out at once, and if he did not go immediately, to take the tongs or the broom and drive him out, for the whole idea was absolutely false and the doctrine an evil and unlawful thing." Naturally I was pleased to hear this testimony. I said, "Did you go back and tell the ladies of the society what my mother told you?" For additional statements by Emma regarding Joseph and polygamy, read "Emma's Fight Against Polygamy," by Richard Price. The statements made by Emma about Joseph and polygamy spanned many years from before Joseph's death in 1844 until hers in 1879. All of her statements emphatically denied that Joseph taught or practiced polygamy. To either ignore her testimony or demean it is irresponsible, for who knew Joseph better than Emma. And of all those who knew Joseph, she is the witness with the highest reputation for truth and honesty. If we cannot believe Emma about Joseph, who can we believe? Awesome post! Thank you so much for posting this great information about Emma. These truths are finally coming out after over 150 years. I've been blogging about this over at Millennial Star (A Faithful Joseph). My thesis is that Joseph was possibly sexually faithful to Emma, but did enter into ceremonial marriages with a variety of women (including my ancestor, Elvira Annie Cowles). For what it's worth, I am familiar with Emma's interview with the Briggs. I think I cited them in my series, possibly in the post Revealing the Revelation. Emma had compelling reasons to teach her sons that their father was not a practicing polygamist. But I don't think that means she was unaware of Joseph's teachings on the matter (as portrayed by the "Utah" church). I'd be interested in your thoughts - alas, the web admins over at M* tend to close down comments after a few weeks, so you'd have to chime in on my recent posts (all posts in the series are linked together from the first post). possibly sexually faithful 2 emma? now that dna testing has xonerated j.smith of havin polygamous descendants, theyve knockd it dwn 2 "possibly"
is Gods hands really tied cuz a gal wasnt sealed 2a man here on earth that she missd the bus? wut bout the guhzillions of ppl, who hav livd on earth, since adam, yet werent sealed 2a mate? unless of course Gods hands aint tied pertaining 2 the progression of His children, which then begs the kwestion of y in the world did these gals need 2 enter in2 ceremonial marriages w j.smith? well gosh golly crud..yer ancestor was "ceremoniously married" 2 j.smith? how cool w it would u b if afta youve died, things bout wut youve said r taken from wut others say u said, rather than wut was recorded of u sayin publiclly? "hmmm it says rite here that meg said, zebras were white w black stripes"
"nuh uh, dude..meg personally told me that zebras were pink w prple polka dots"
"welpers, that flys in the face of wut she wrote n tot but youve dun did convince me cuz im simple minded"
I would appreciate it if both the RLDS and LDS churches would be more transparent with their knowledge of the feuding that occurred before and after the death of Joseph. Being his first cousin only three generations removed, I only have family histories to refer to but it appears that the influence of plural marriage came more from Brigham than Joseph. There are many layers to uncover and study and we all want to know the truth. None of us are perfect and only God knows true judgement. In this case history has been manipulated in a relatively short time. I think many of us are interested in knowing the truth about Joseph and polygamy. On my most recent post, toward the end, I give some steps that have helped me come to what I believe to be the truth about him. Give it a look, you might find it useful. Thanks for your comment.